Even my little bro hate blue, A-Ha! cough... 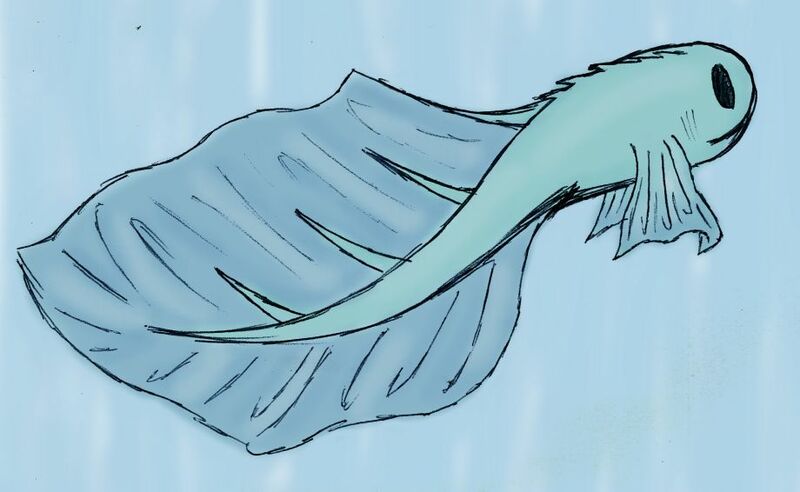 Anyhow, this is a meaningless but fun sketch I made the other day after looking at some mermaid art. I'd like to take some time and really learn how to make convincing scales, water textures, and frills, but I've got too much else to do, so this is probably how this'll stay. I didn't realize this until other people pointed this out to me, but the little guy looks like a leaf. Before I knew it, I was thinking of it as "the Leaf Fish", so the name stuck. Made with pen, paper, and the GIMP.